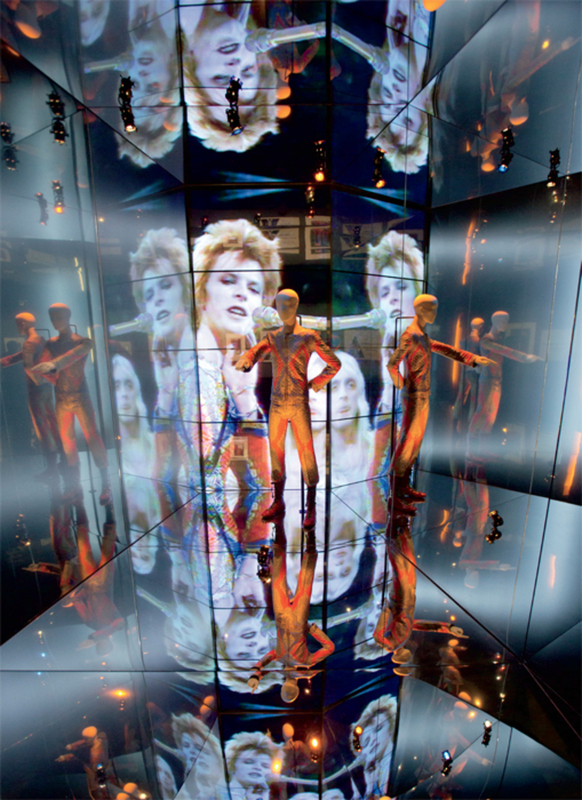 View of “David Bowie Is,” 2013, Victoria and Albert Museum, London. Photo: David Bowie Archive. 1 DAVID BOWIE (VICTORIA AND ALBERT MUSEUM, LONDON; CURATED BY VICTORIA BROACKES AND GEOFFREY MARSH) I visited the Bowie show with the ideal companion, artist Marc Camille Chaimowicz, in June. Bowie’s chameleon costumes are unforgettable, yet clearly cheap upon closer examination and seen among the cheesy fan memorabilia. The acme was definitely the last room: Surrounded by images of his live concerts projected on huge screensand thanks to wireless headphonesyou were randomly transported through various sounds, spaces, and times; these are the best music videos ever, from the best performance artist on Mars.